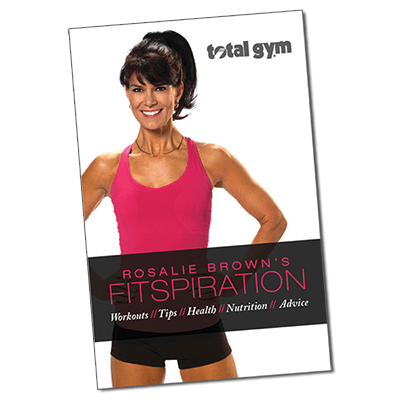 Features 35 Total Gym exercises! Quick reference to use during your workout! Many different categories to choose from! 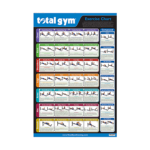 New and improved Exercise Chart features 35 Total Gym exercises. 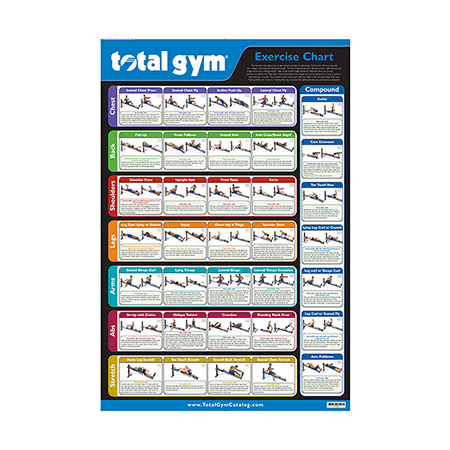 Use this convenient exercise chart as a quick reference during your Total Gym workout. 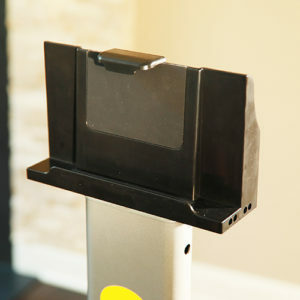 All new color photos give you a quick snapshot of the most popular Total Gym exercises. Categories include: Chest, Back, Shoulders, Legs, Arms, Abs, Stretch, and Compound. 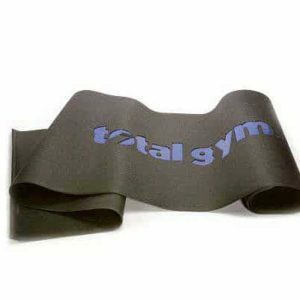 Convenient color and deck card number coding make it easy to find the same exercise in your Total Gym Training Deck for additional instructions.